Second Life is about to celebrate its 10th birthday! 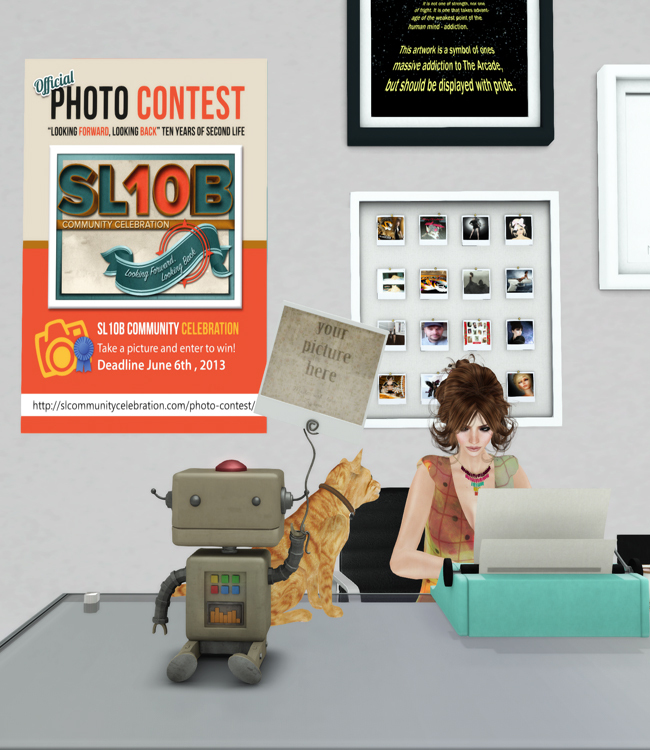 Have you submitted your photo entry for Second Life’s 10th Birthday Celebration? Not yet? The contest ends Thursday, June 6, 2013 at midnight, so better get going on that. The SL10B team thought of the fantastic theme “Looking Forward, Looking Back” that allows participants to unleash their imaginations. How do you envision SL in the future and how does it relate to your SL past? Have some fun! Photographs submitted by the second life community should illustrate SL10 theme “Looking Forward, Looking Back” over the past 10 years. Deadline for the contest: June 6th 2013. – SL10B Celebration Team reserve the rights to use photograph submissions for event advertisement. – Photos must be PG, make it family friendly keep it clean and FUN or risk disqualification. – No text on photos. By the way, this will be a massive celebration, so if you’d like to see what’s coming up, click here for details.